Hey! Back with me again, reporter Neni Diyanti #LOL. 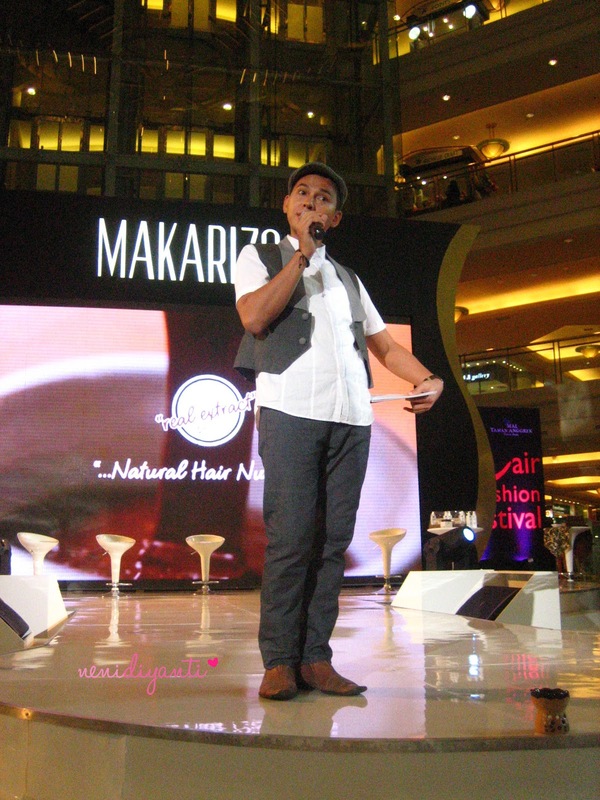 Now, I’m gonna give a report about talk show “The Uniquely Chocolate Sensation” by Texture Experience from MAKARIZO. This talk show is one of the main events at MAKARIZO Hair FashionFestival 2013. 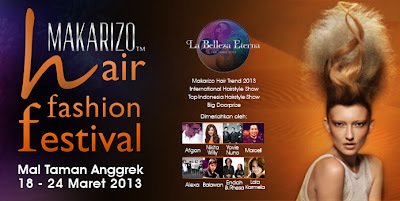 This event is also part of MAKARIZO Salon Tour Indonesia 2013. 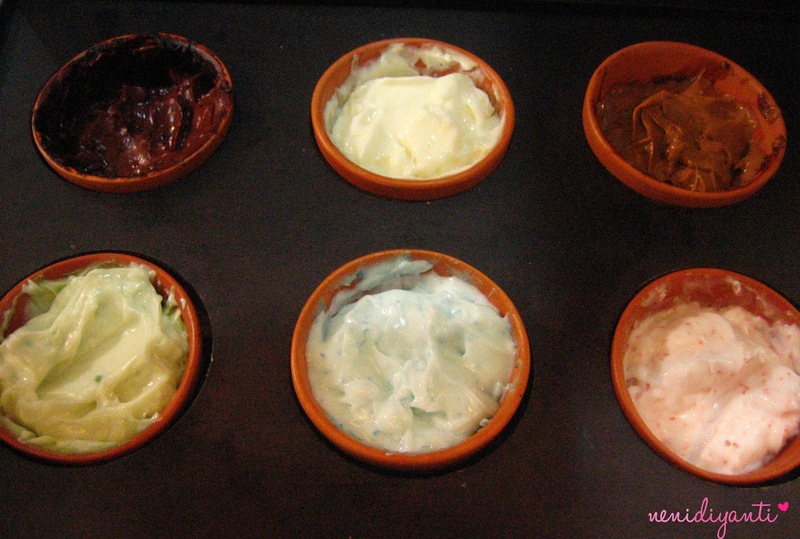 Anyway, “The Uniquely Chocolate Sensation” by Texture Experience should be started on 11.30 AM (GMT +7) but it was late and started on 12.45 PM (GMT +7). 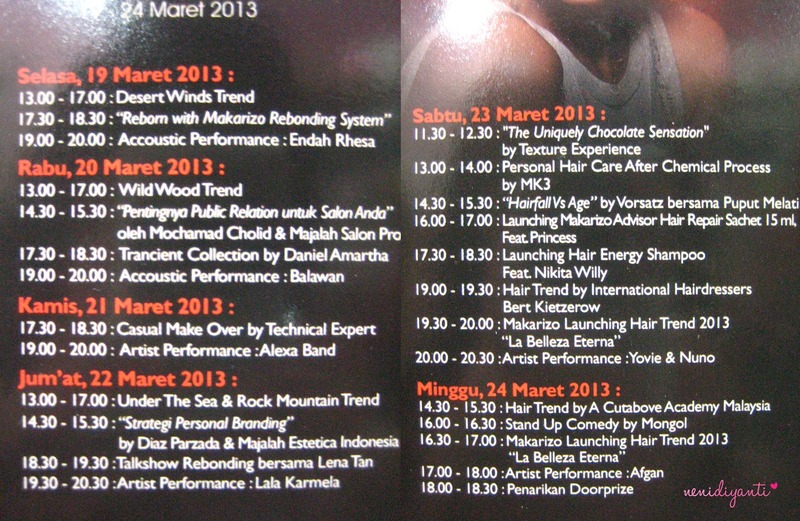 And to be honest, I arrived at Mall Taman Anggrek on 10.40 AM (GMT +7). 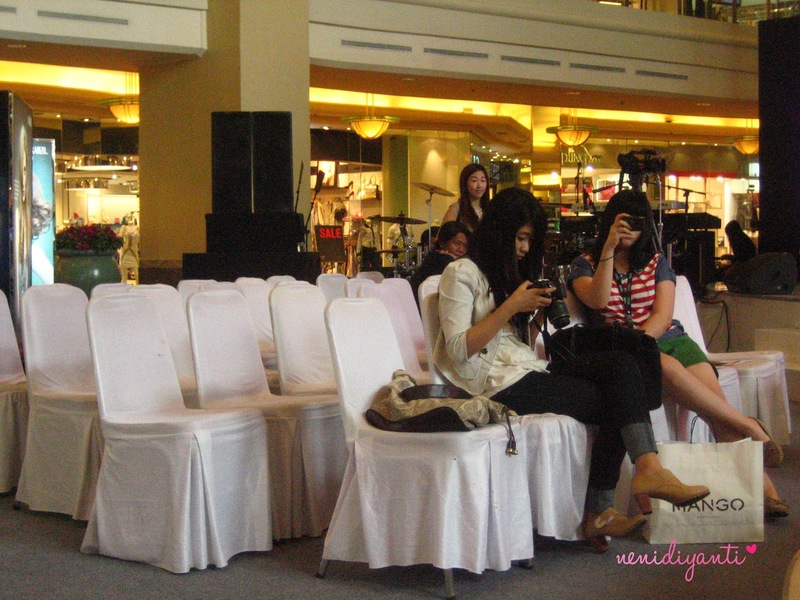 I thought I would be late (since Jakarta got the worst traffic ever), but when I got there, there was nobody sat on the chair and the stage was still empty. Wow..!! A long and huge banner of MAKARIZO Hair FashionFestival 2013 on the wall! It's as long as 3rd floor at Mall Taman Anggrek. 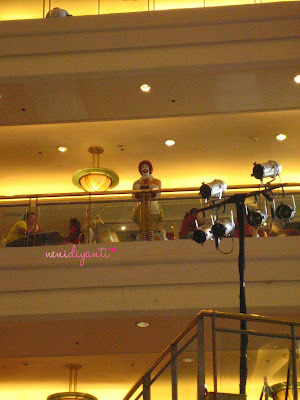 The situation in the audience's seats. On the 2nd photo shows you where IBB's member lined up. 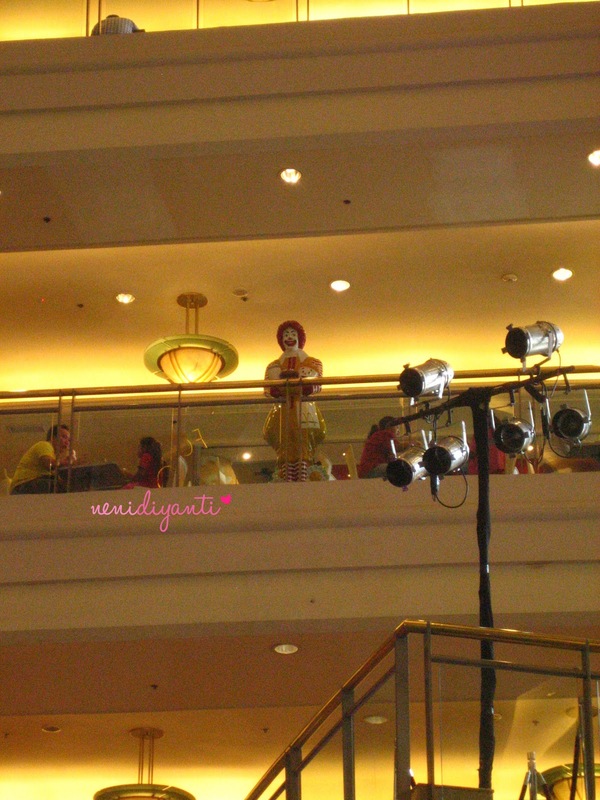 Unfortunately, I didn't join them because I prefer to have a seat right in front of the stage so I can take pictures from a good angle. While waiting, me and Sonia (Yes! I made a new friend there!) 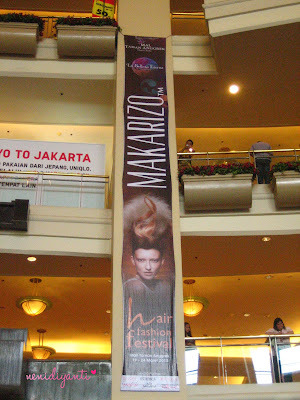 took a walk, sight seeing the event and MAKARIZO products. I’ve been asking about (almost) all products there to SPG and SPB #LOL because I’m so curious about all MAKARIZO products since I know all of MAKARIZO products are good quality. 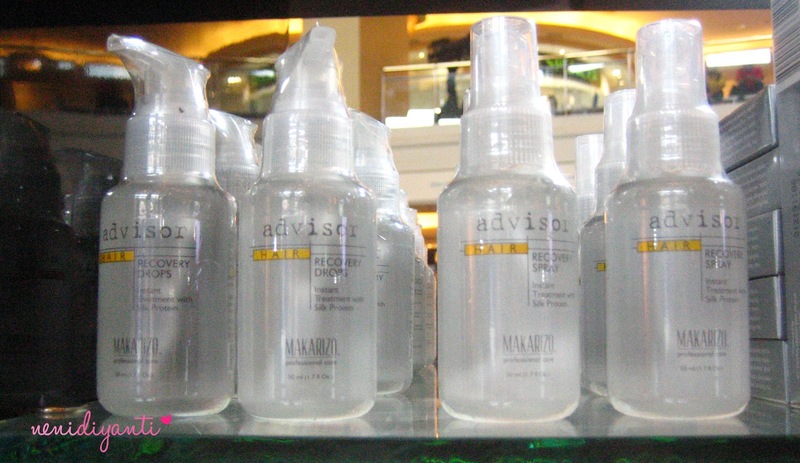 FYI, I’ve been using MAKARIZO advisor Anti Frizz Spray for years (it’s really good for my hair) and MAKARIZO hair mask. 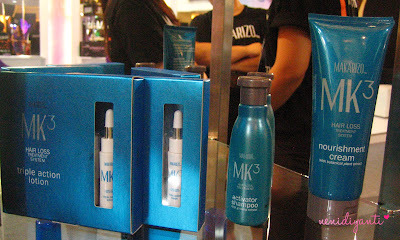 I also took some pictures of MAKARIZO products which sold at the event. 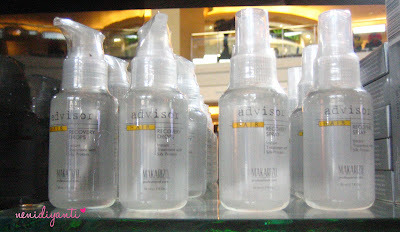 Scream for adivsor Anti Frizz Spray! Yay! I use this product for several years and I'll make a review about it soon. 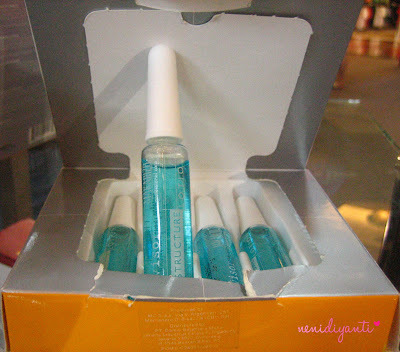 I used to use these products. 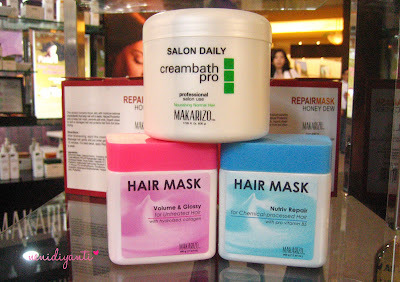 I was rebonding my hair and these products are used to be my hair's shield. These are the main stars! 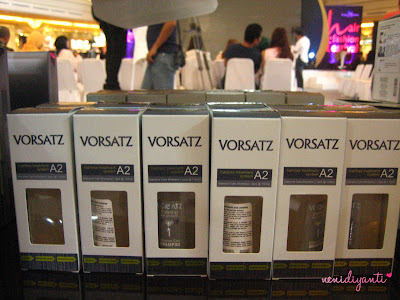 MAKARIZO Texture Experience in Black Chocolate variant. 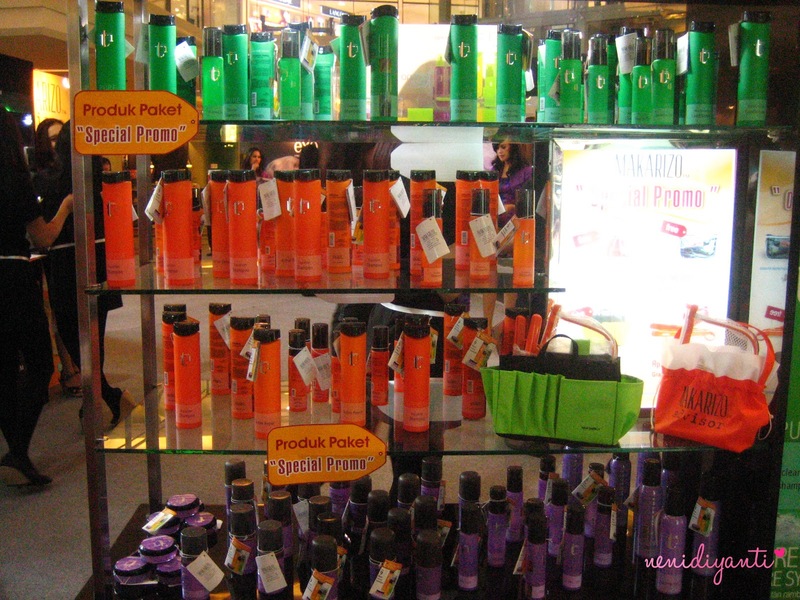 I bought Silky Light (purple ; bottom row of display cabinet) and its smell is super super lovely ; fresh floral smell and I love it. 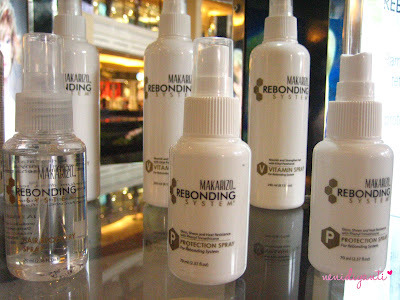 I'm gonna review about that product soon! Cute spray bottle! 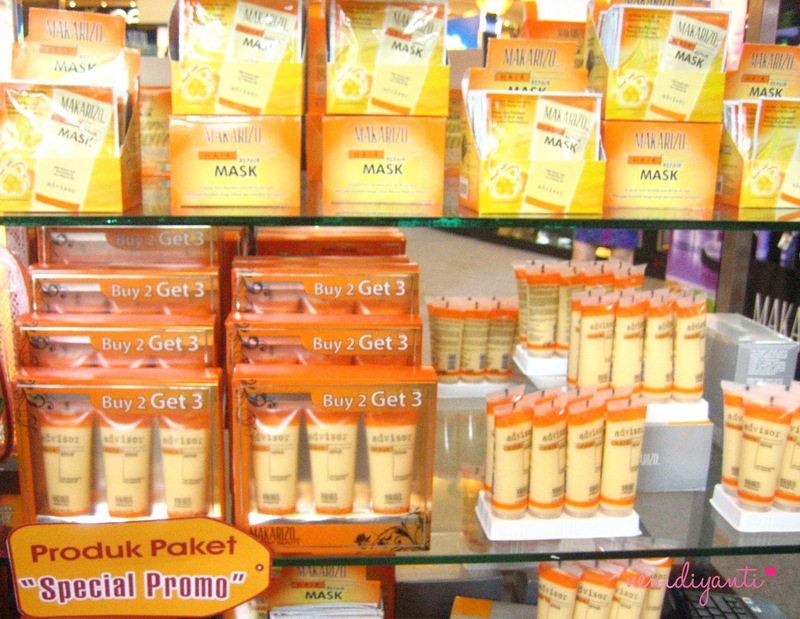 These products really catch my eyes even they were located in bottom row of display cabinet. 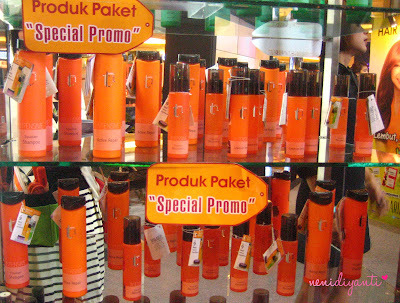 When I want to buy the product with cute bottle spray (on the left), the SPG said it haven't launched yet so I can't buy it. 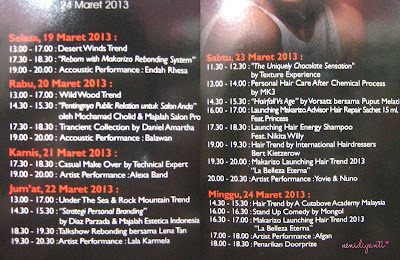 Ariel Tatum, the beautiful lady singing "Karna Aku T'lah Denganmu" with Arvan. This song should be sung by Ari Lasso ft. Ariel Tatum (original singer). MC with Ariel Tatum & Arvan had a chit chat before upcoming show which is the talkshow with nutritionist and Product Manager MAKARIZO Texture Experience. MC, Ariel Tatum & Dr. Emilia Ahmadi as nutritionist. Some of us (read : girls) may have thought that chocolate can make us fat or chocolate contains too much fat, thought we love chocolate. We eat chocolates then feel guilty after eat them. Dr. Emilia Ahmadi (nutritionist) said that chocolate is a girl's best friend. Indeed! And not of all kind of chocolate is bad for our body. Not of all kind of chocolate can make us be a fat girl. Not all chocolates. This chocolate is mostly sold at market with affordable price (cheap or really cheap). It tastes really sweet because it contains high sugar but less chocolate. This chocolate contains more than 60% - 70% of chocolate and less sugar. It tastes more bitter than chocolate candy but it healthier for us. Why? Because it also contains anti oxidant and a type of fat which could burn fat / calories (HDL). 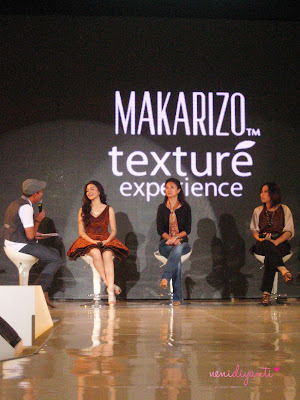 MC, Ariel Tatum, Dr. Emilia Ahmadi & Ms. Verina Hartanti as Product Manager of MAKARIZO Texture Experience. Living in these days, make us paced rush to done everything. 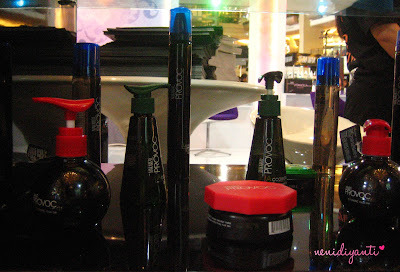 Do you know that lifestyle could make you easily get stressed? In the end of day, you may need to relax and need something which can make you feel relaxed. 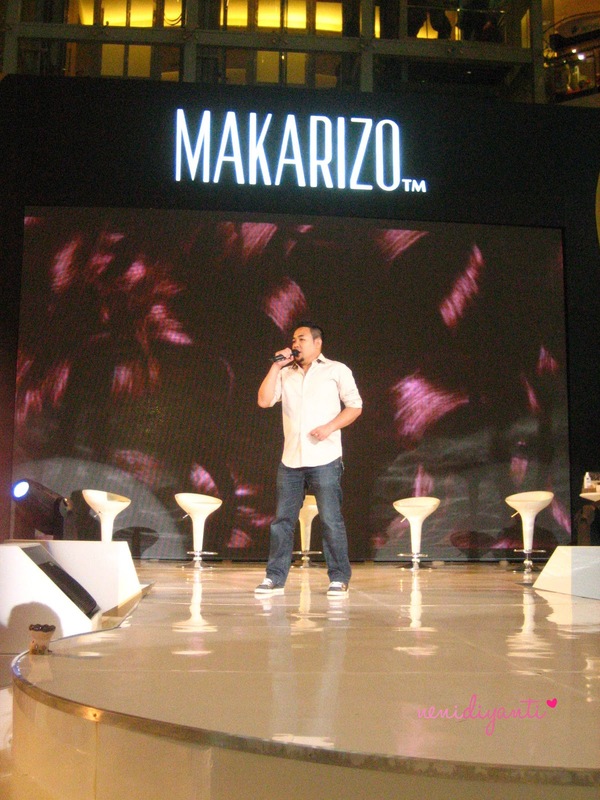 Then you need MAKARIZO Texture Experience in Black Chocolate variant. 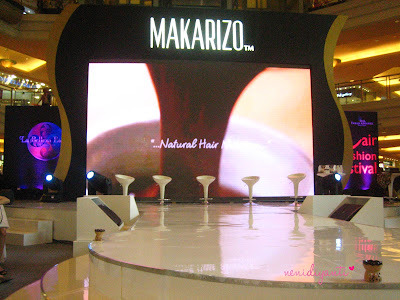 With concept "Natural Hair Food", this MAKARIZO Texture Experience in Black Chocolate contains real extract of dark chocolate. 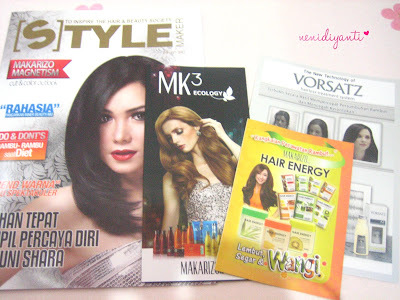 And with real extract of dark chocolate, it will give your hair more nutritions (which is really good for you and for your healthy hair). Your hair will become softer and more radiant by using MAKARIZO Texture Experience in Black Chocolate product. It also makes your hair healthy, shiny, soft, smooth, fresh, and fragrant. 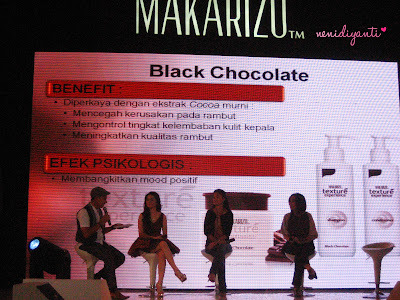 They talked about benefit and psychological effect from MAKARIZO Texture Experience Black Choco (or you can say Dark Choco). 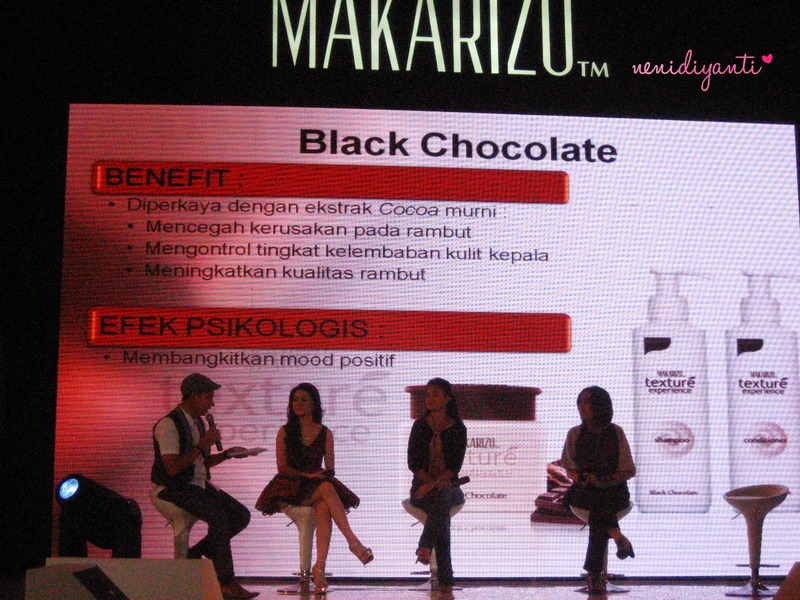 Beside MAKARIZO Texture Experience in Black Chocolate is good for your hair, it also good for your psychology. Do you know why? 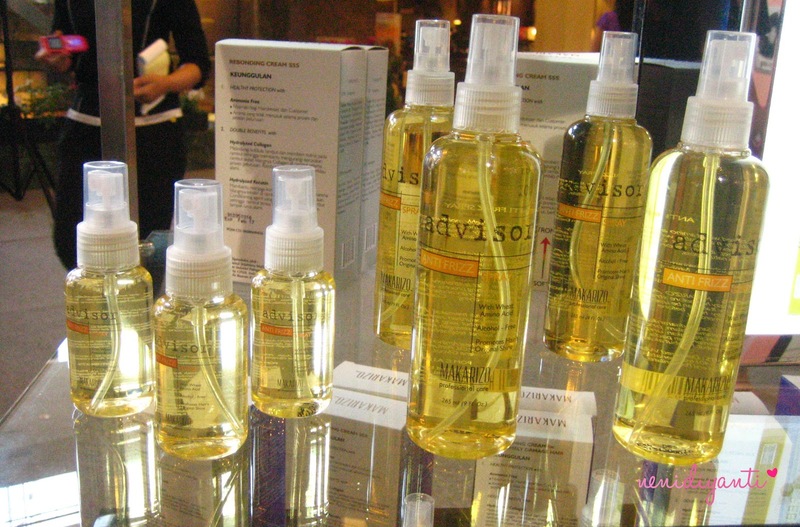 By using this product, you will smell a real chocolate fragrance and by doing a right massage technique, you will feel more relax. 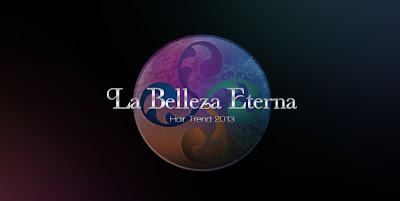 It will generate a positive mood. 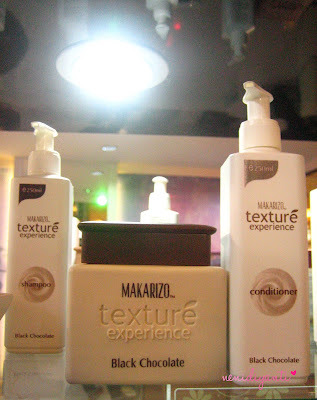 MAKARIZO Texture Experience in Black Chocolate is really good for dry scalp, since it function is to control scalp humidity. She is Nabila, a model for massage technique demo. This is where Nabila will seat and being a model for hair massage demo. 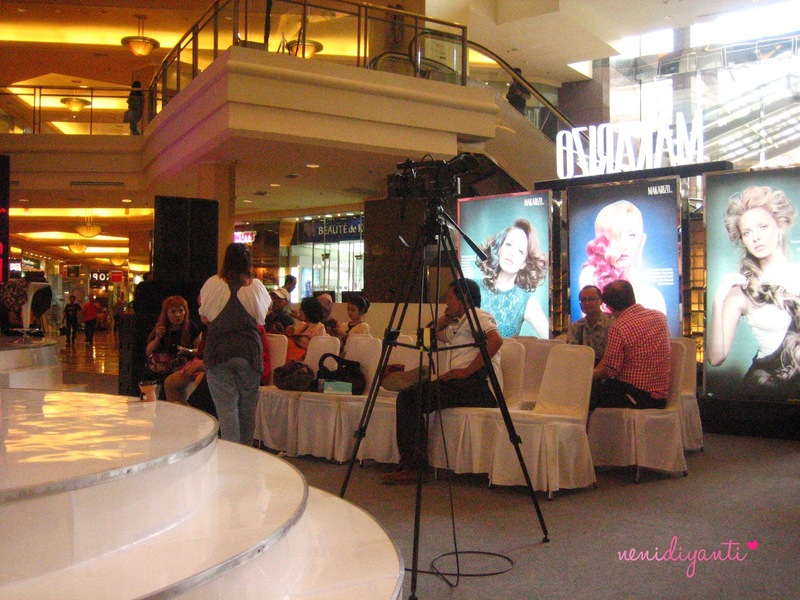 After talk show, it continued with massage demo with Nabilla as the model, one girl as masseur, and one girl as masseur's assistant. 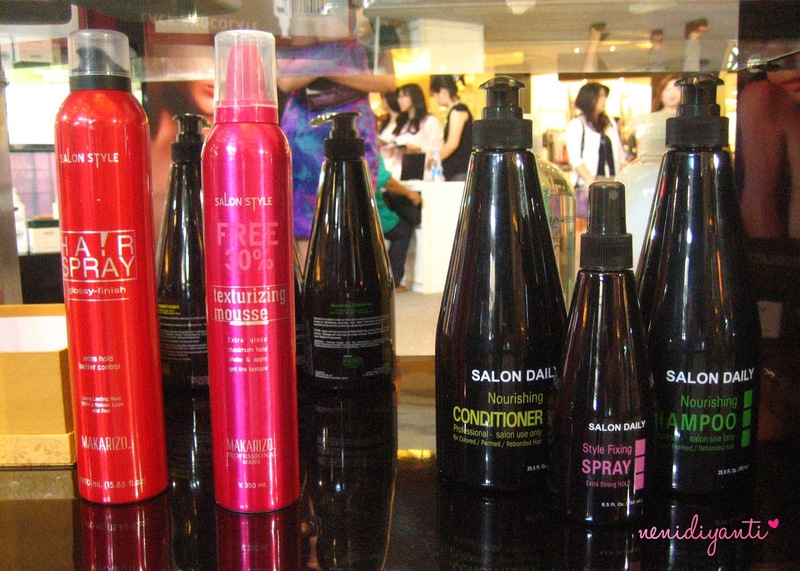 You can read about hair massage demo here. 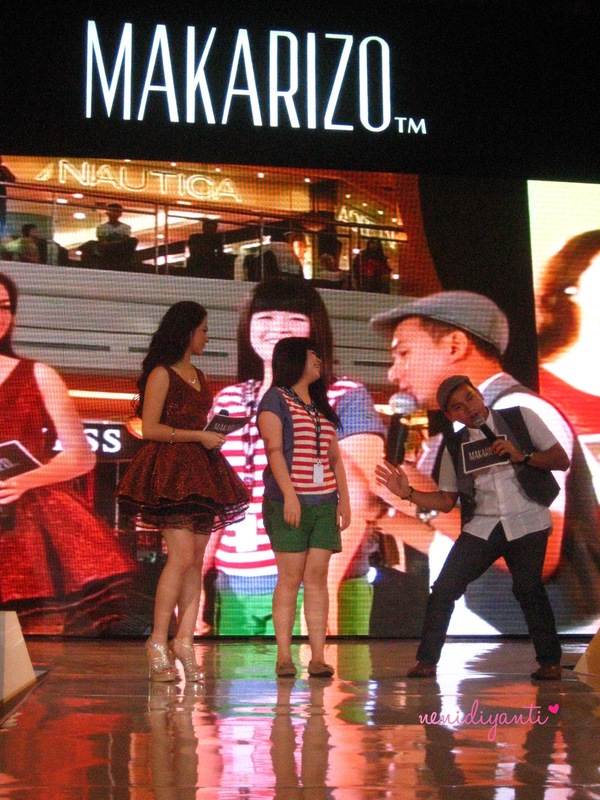 In the end of program, MC and Ariel Tatum held a quiz with 2 winners who will get 2 package of MAKARIZO Texture Experience in Black Chocolate product (each of them get 1 package). 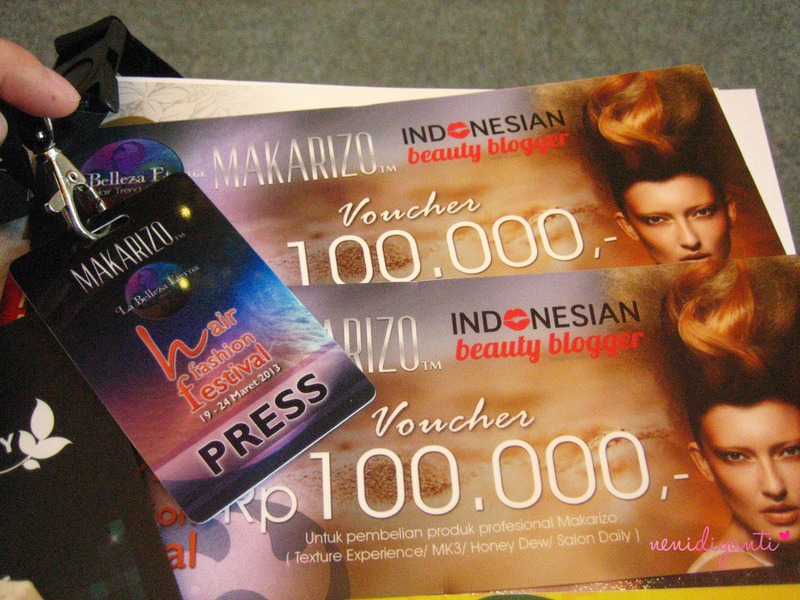 Jesslyn (the first winner ; one of IBB member) won! Yay! 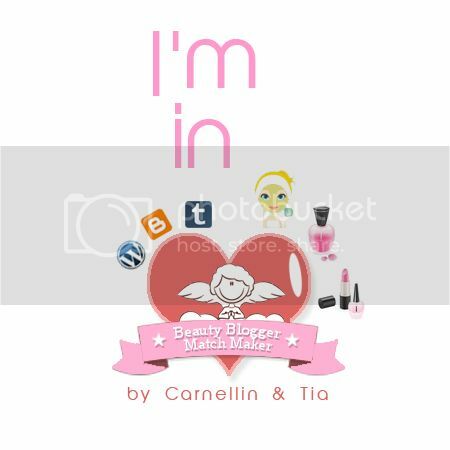 Congrats Jesslyn! Ariel Tatum came back on the stage, sang Curi - Curi Hatiku ; promoting her 2nd solo single. FYI, Ariel Tatum reveals that her most favorite product of MAKARIZO is MAKARIZO Texture Experience Hair Massage Cream in Black Chocolate variant. She also like Honey Dew NutrivSerum. Members of IBB took a photo together after the event done. Not all of member looked at my camera :( Btw, it's Sonia on the right after a girl with hijab. What I got from MAKARIZO! OMG! So many! 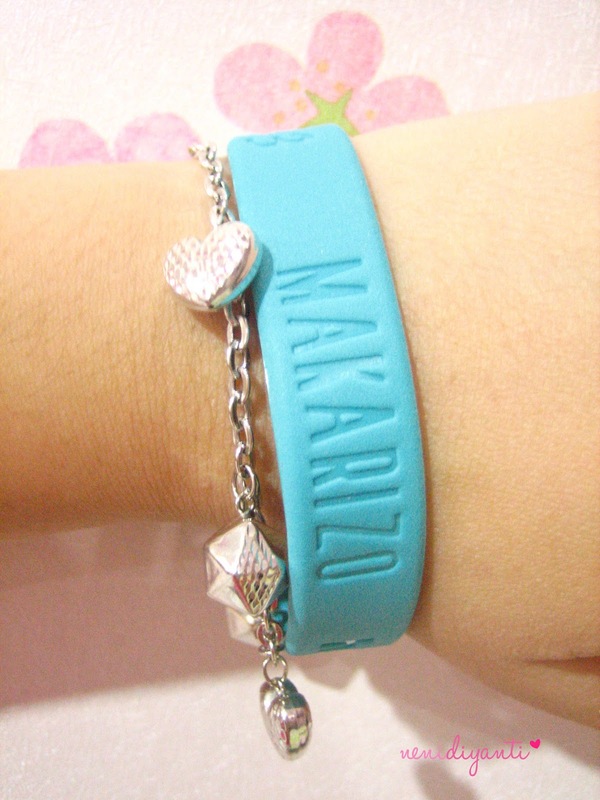 Thank you, MAKARIZO! 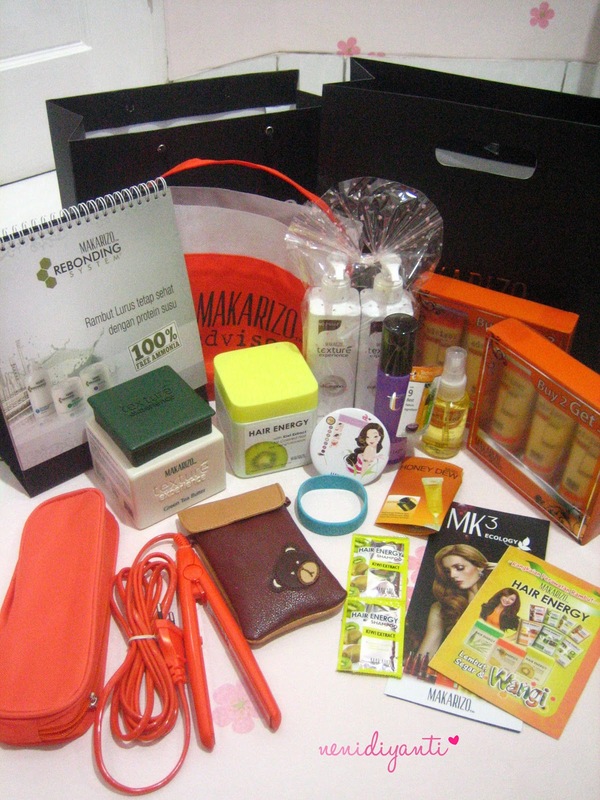 Two paper bags contains : calendar, MAKARIZO Hair Texture Experience Black Choco (shampoo and conditioner), MAKARIZO Hair Texture Experience Green Tea Butter, MAKARIZO Hair Energy Kiwi Mask, t1 Silky Light, advisor Anti Frizz Spray, advisor Hair Mask, Mirror (Sonia gave me this), Honey Dew Sample, Hair Energy Kiwi Shampoo Sample, a Rubber Bracelet, a Teddy Pouch, Mini Hair Straightener with pouch, some brochures. I also got a [S]TYLE Magazine (SPG in the event gave me this) and some brochures about MAKARIZO products.